With winter there are a few things you need to have to keep yourself moving in the world. The first is a good set of snow chains for the car, and the second is a good snow blower to take the effort out of repeatedly heaving a shovel to keep your area clear. Snow blowers are a great way to clear the snow from your driveway, sidewalk, and other areas during the winter months. Rather than having to go out and spend hours shovelling all of the snow by hand, you can just fire up your snow blower and have your work done before you know it. The following are ten of the best snow blowers currently available. This snow blower from Snow Joe is a cordless, battery operated snow blower. It is lightweight, weighing just 32 pounds, and easy to use. 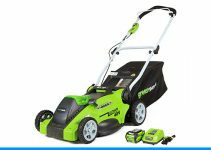 The battery will give approximately 50 minutes of quiet run time when fully charged, giving you plenty of juice to clear the driveway, sidewalk, and even the deck. 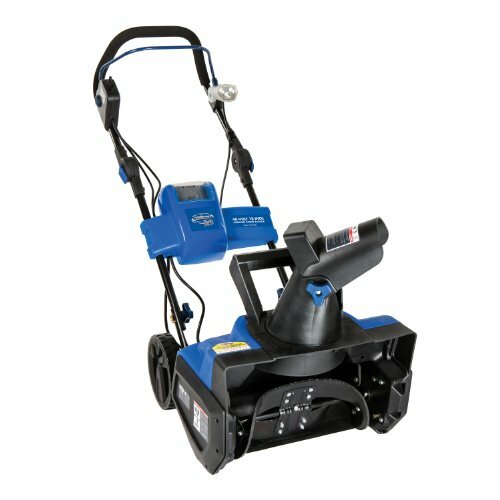 It is a cordless snowblower, so you do not have to worry about cords getting in the way while you work or them getting tangled while in storage. There is no need to worry about gas, oil, pull cords, or having to get a tune-up. This snow blower will make a 18 inch path and can go through snow that is 8 inches deep. 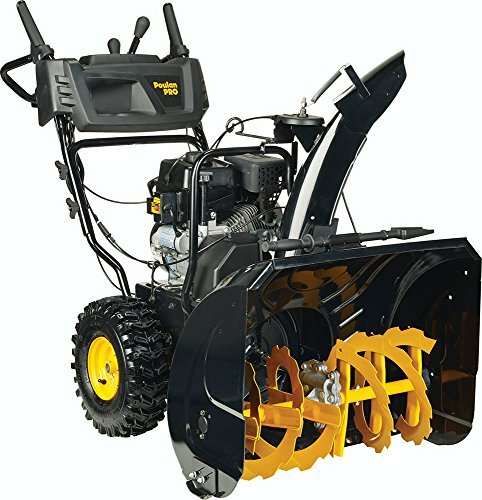 The steel auger rotates two rubber blades that can move up to 495 pounds of snow per minute. The chute rotates 180 degrees and throws the snow about 20 feet. 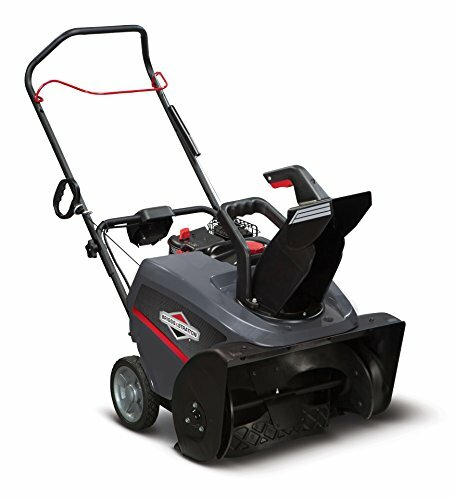 This Briggs and Stratton snow blower will clear a path that is 27 inches wide and up to 20 inches high. This powerful engine has a 250cc engine with 11.5-foot-pounds of torque that will power through heavy snowfalls with ease. You can easily start this snow blower by using the push start button. The chute control is mounted on the dash making it easy to rotate as needed. The chute rotates 180 degrees giving you the flexibility of changing where the snow will be thrown. 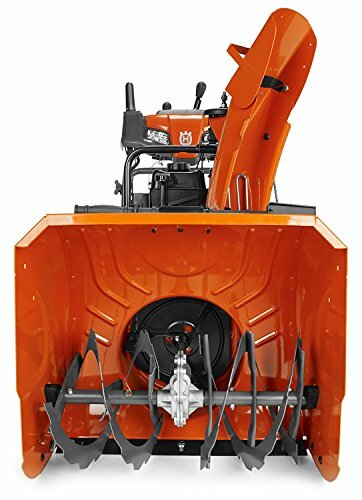 The Snow Joe electric snow blower has a 13.5 amp motor that is capable of moving up to 650 pounds of snow per minute being able to clear a path 18 inches wide and 10 inches high. The snow chute rotates 180 degrees giving you the ability to throw the snow in the direction you need to. You can also position the chute higher or lower depending on where you would like the snow to land. The four steel blades will throw the snow up to 20 feet. A 20 watt halogen light allows you to blow snow even when it begins to get dark giving you the ability to clear your driveway or sidewalk when it work best for you. 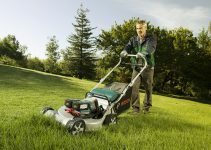 The electric engine is easy to maintain and start when you need it. 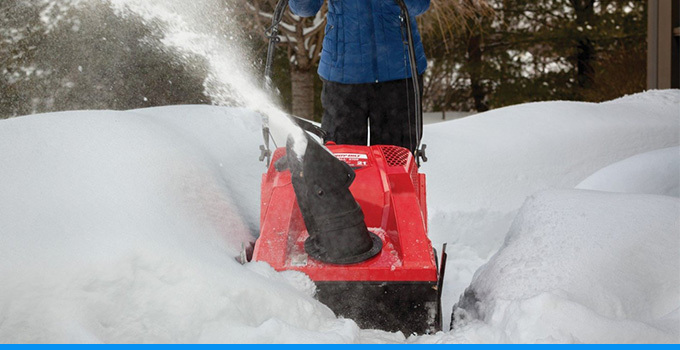 The Troy-Bilt Squall snow blower is extremely easy to start using with the electric start. The 208cc 4-cycle engine gives you the power to quickly remove the snow that’s in your way. You can clear a sidewalk or driveway with a path that is 21 inches wide and 13 inches deep in just one pass. The drift cutters make it easy to cut down the snow as you go making it easier to remove. The snow chute rotates 190 degrees with an easy to use control making it possible for you to displace the snow where you would like it to go. The easy grip handle makes it simple to maneuver the snow blower while you work. This Husqvarna snow blower has a 208cc engine giving you the power you need to quickly and easily clear the snow on your driveway or sidewalk. The job is made even easier with an easy electric start so you will not have to worry about using a pull cord to start it. 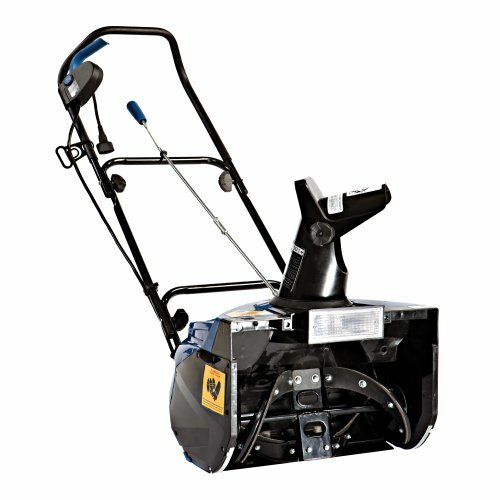 This snow blower will clear a path of 24 inches wide and 12 inches high with ease. The snow chute is easily controlled and can be rotated 180 degrees, along with being able to move up and down so you can shoot the snow where you would like. The 15-inch tires make it easy to move the snow blower while you work. Other great features include heated grip handles to help keep your hands warm and an LED headlight that will light your way when its dark. 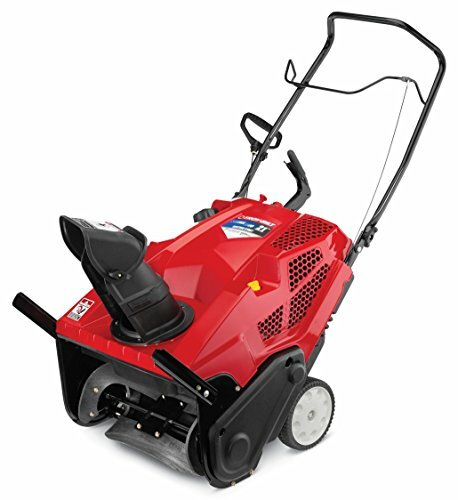 This snow blower by Power Smart is gas powered and has a 208cc engine. It will clear a path that is 24 inches wide and 21 inches high making the task of clearing snow from a driveway or sidewalk a bit easier and quicker. 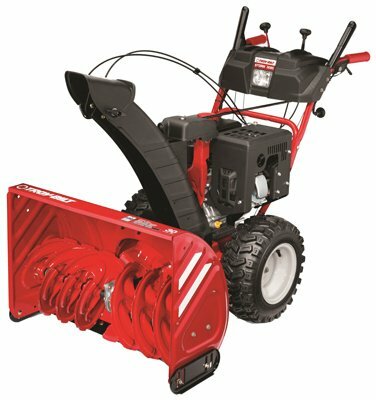 In order to get you working on clearing the snow quickly, this Power Smart snow blower has an electric start. The augers are all steel and serrated in order to cut through some of the heavier and thicker snow. 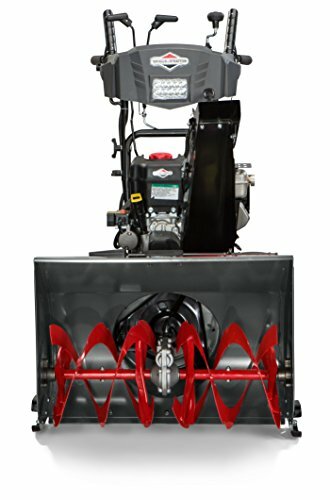 This snow blower has four speeds when going forward and two speeds in reverse giving you the ability to go through the snow as quickly or as slowly as you need or want to. The 4-way joystick allows you to move the snow chute in the direction or at the height that you would like. 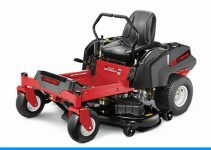 Briggs & Stratton 750 Snow Series snow blower has a 163cc engine with electric start making it easy to start when you need it. It will use its power to clear a path that is 22 inches wide and 12.5 inches high. The auger is made of a wear-resistant polymer to make it last a lifetime. The snow chute rotates 200 degrees and can throw the snow up to 30 feet. This Troy-Bilt Storm is a great snow blower for those that have a large area to snow blow or would just like to get their driveway or sidewalk cleared quickly. 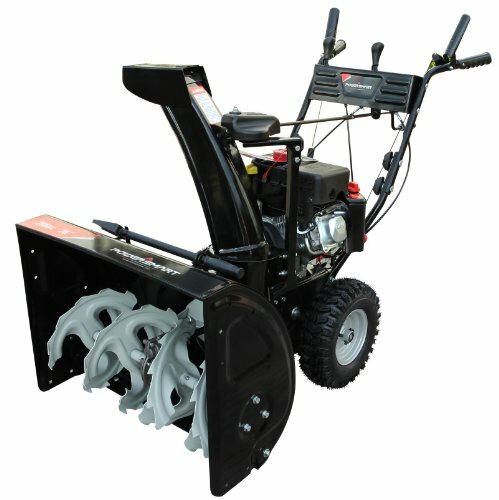 With this snow blower your snow can easily by moved with the 357cc 4-cycle engine. The pass this snow blower can clear at a time is 30 inches wide and 21 inches deep. The snow chute can rotate 200 degrees and can be adjusted up or down to blow the snow where you need to. The 16-inch tires give you the traction and durability to tackle the job in all kinds of winter weather. It even has a way to keep your hands warm while you work with the heated hand grips. The Poulan PRO PR270 snow blower has a 208cc engine giving you the power you need to clear your driveway and sidewalk with ease. The pass this snow blower can blow is 27 inches wide and 23 inches high. The snow chute can easily be adjusted up and down and from side to side 180 degrees to allow you to blow the snow where you would like it to go. You can begin your work quickly when starting this snow blower using the electric start. This Poulan PRO PR270 has six different speeds when going forward and one speed in reverse giving you the option to go through the snow as slowly or as quickly as you would like. 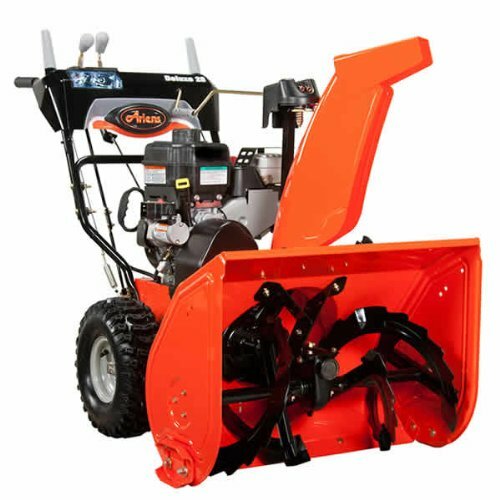 This snow blower by Ariens can clear your sidewalk or driveway with ease with the 28-inch wide and 21-inch deep pass it can make. Your work is made even easier with the self-propelled drive system that has six different speeds when moving forward and two speeds in reverse. The steel snow chute can be adjusted to throw the snow where you would like it up to 50 feet in distance. It also features a headlight allowing you to use the snow blower when you have the time to do it even if it is dark.